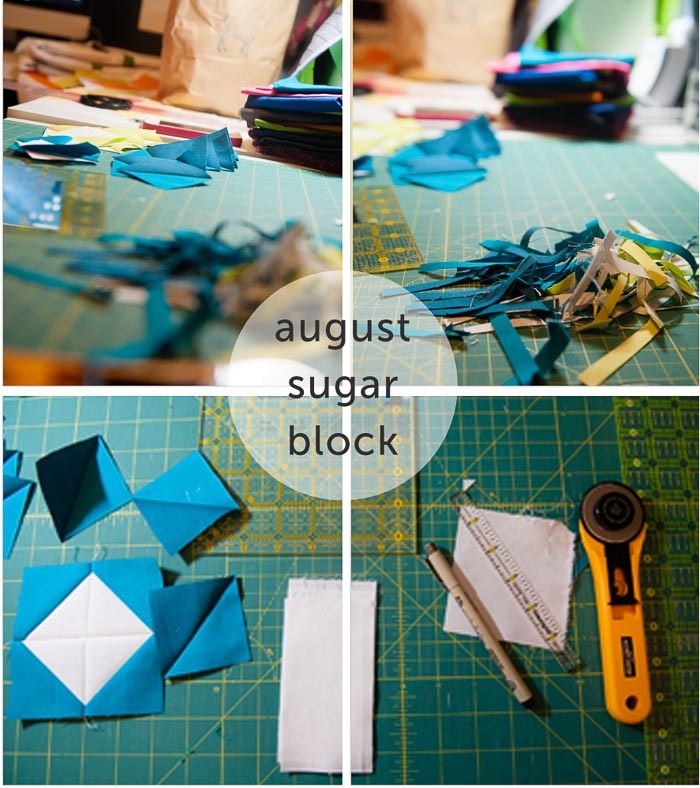 I made a deal with myself to NOT start the 2014 Sugar Blocks until I finished putting together the blocks from 2013 Club. 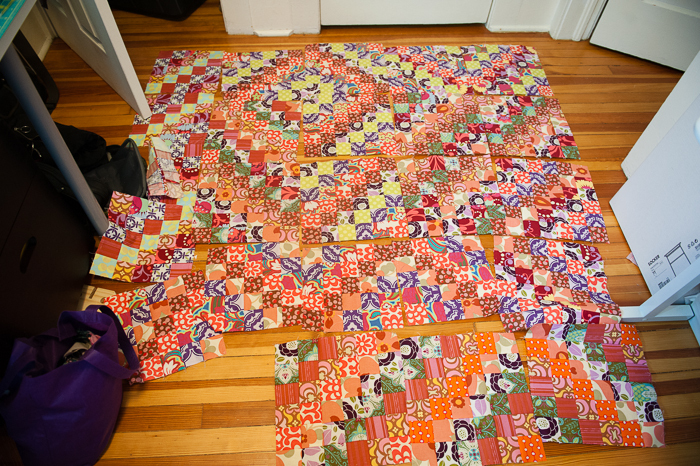 And I did finish the quilt top – getting the quilt basted is another story for another time. And I’m not quite there yet. Soon though. Soon. 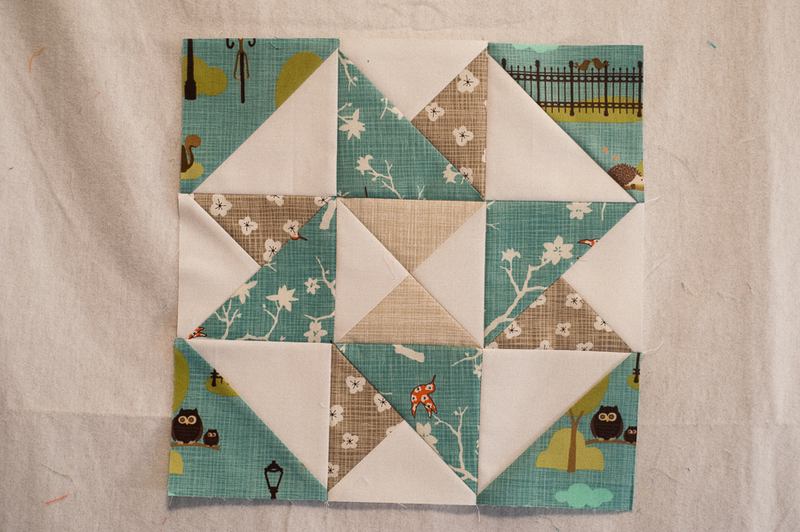 For the 2014 blocks, I am using a fat quarter set of Bluebird Park by Kate and Birdie Paper Company. Super super cute collection with some nice blenders thrown in too. At first I was concerned about the prints and how they would look all patchwork-ed, but honestly, I have other things to worry about. I’m just going to go with it, and see how it looks when I’m finished. 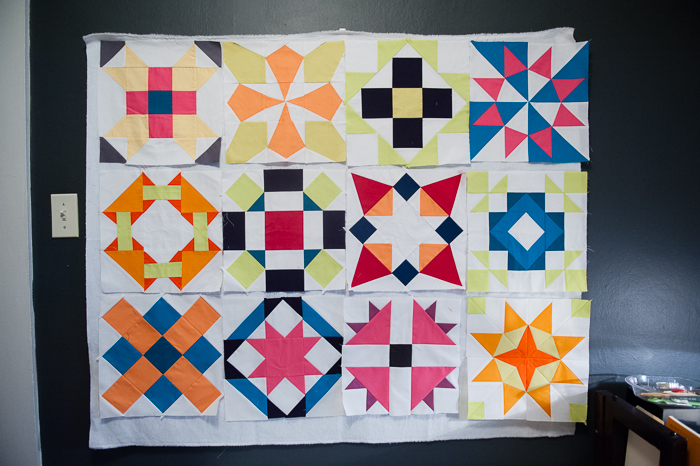 Take that, Quilt Police! Let me just start out by telling you that I’ve been feeling awful. For longer than necessary. 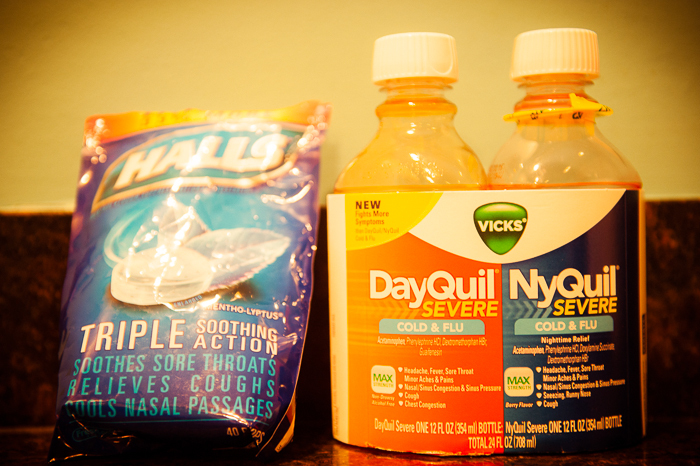 I’ve ingested so much over-the-counter medicine that we probably should buy stock in Walgreens. I didn’t work today, partly because I’m sick, yet mostly because I’m way over my hours for the month. Already. I don’t really think of myself as a workaholic, but I just find that this new job is a lot of work. A lot more work than my old job. I’m getting used to working 9-10 hours a day, and that’s not including the commute. I didn’t have any meetings scheduled today, so I planned a day off. And I spent it sewing. Its a good day. 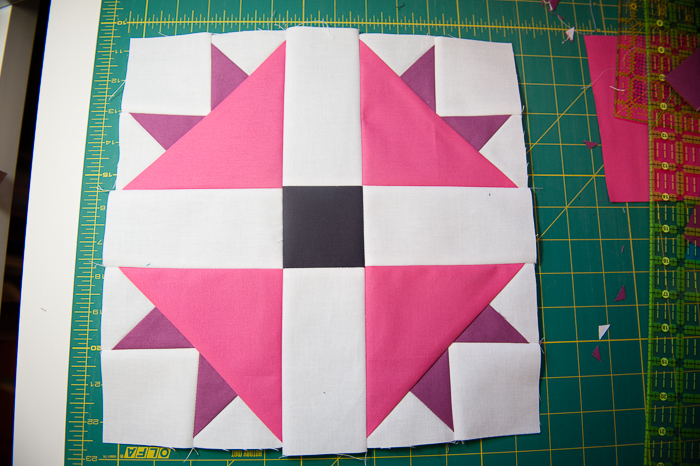 Here’s a block for Andrea. She’s my person this month for my quilt guild’s Adventure Block Swap. 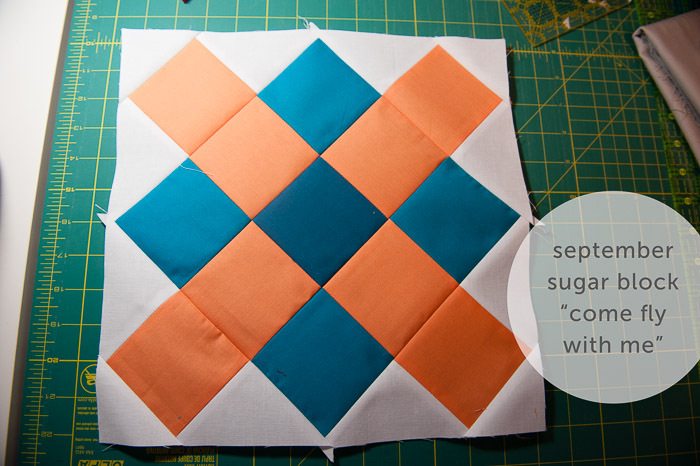 She chose a wonky churn dash block, requesting it in orange, teal and brown. This one was really fun to put together. 2. is there really only one month left in 2013? 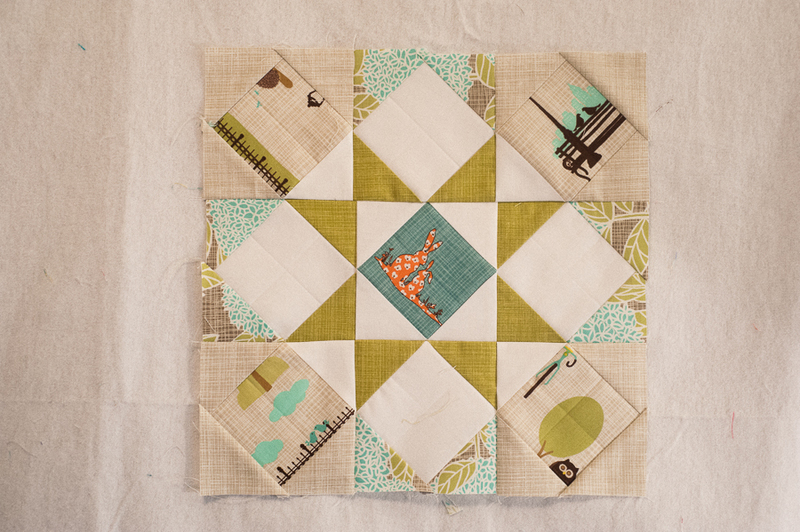 I really like the blocks that Amy designed and the resulting sampler quilt is going to look amazing. I’m really excited about it. bleh. 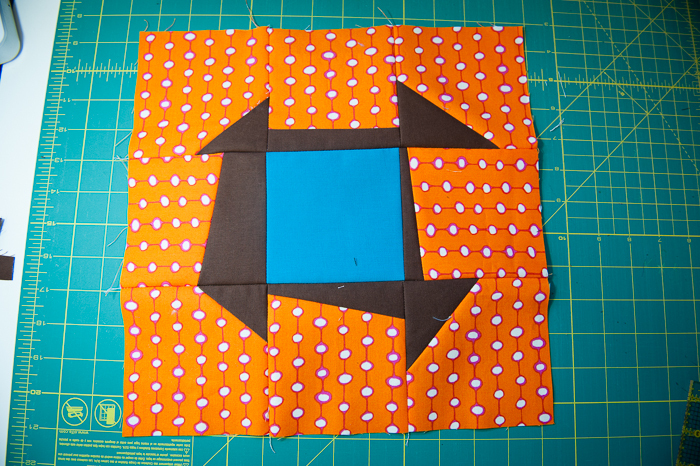 I’m pretty sick of sewing these trip around the world blocks. They are easy and they come together really quickly – I’m just ready to move on to something else. I need a few more blocks before I call it done though. The quilt needs to be just a bit bigger. 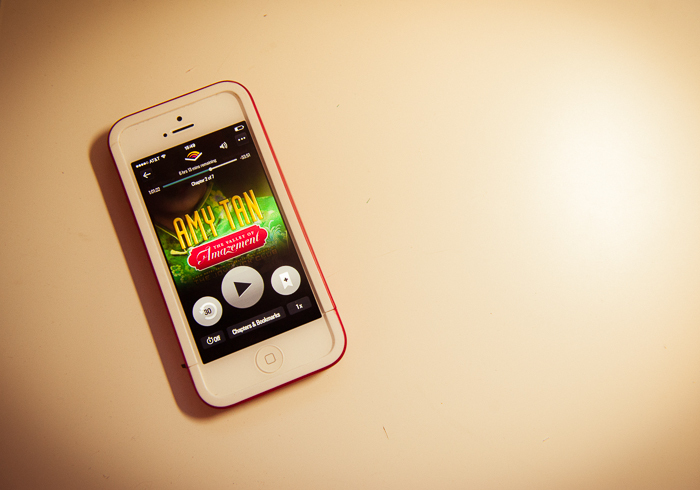 Unrelated to sewing, I’m currently listening to Amy Tan’s latest, The Valley of Amazement. I’ve read most of her books and heard her interview about this book on Morning Edition last week. I like it so far. I just finished up Code Name Verity by Elizabeth Wein, which was beautiful and complex and well narrated. I highly recommend the book, even though it is categorized Young Adult fiction. I’m kind of a fan of these audiobooks, and I didn’t expect to be. Friends, that’s all I’ve got to tell you today. Happy Friday! Yikes. I am the worst swap partner. At least lately. 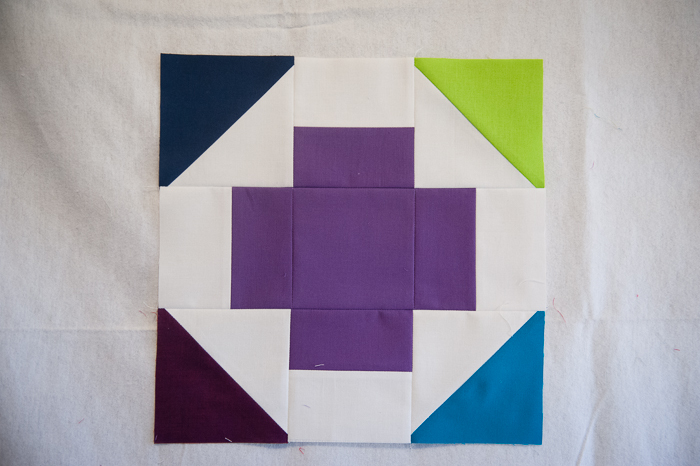 My guild hosts a monthly Adventure Block Swap we sew a block of our partner’s choosing. 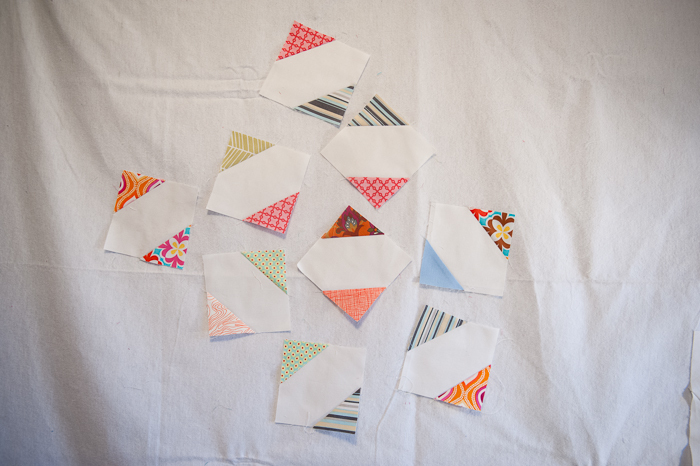 I think its fun because I get to sew new to me quilt blocks using my fabric. I was a month behind on completing Megan‘s blocks. 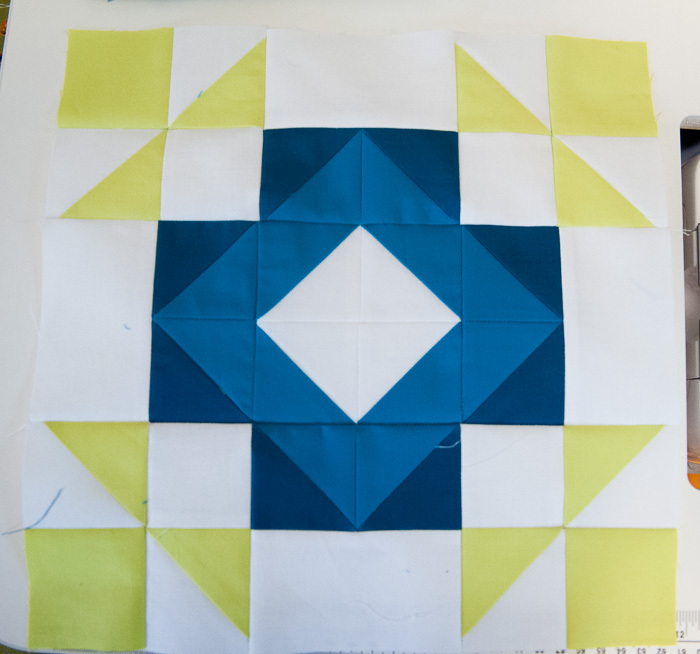 She asked for nine of these simple blocks (tutorial here) and I really had no excuse for not finishing them on time for last month’s meeting. I’m really excited to see what Megan does with all the blocks she collects from the guild. And for this month, I made a Greek Cross for Julie. 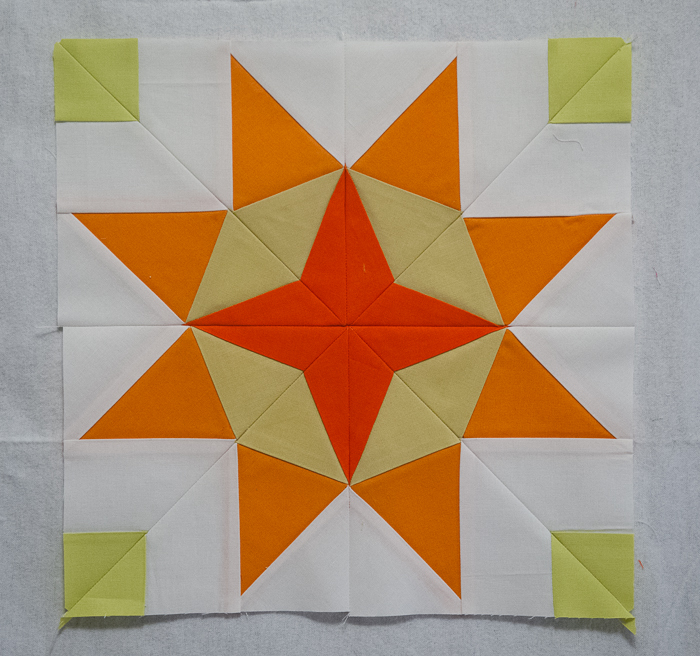 This one was a simple block as well, and I think its just pretty. 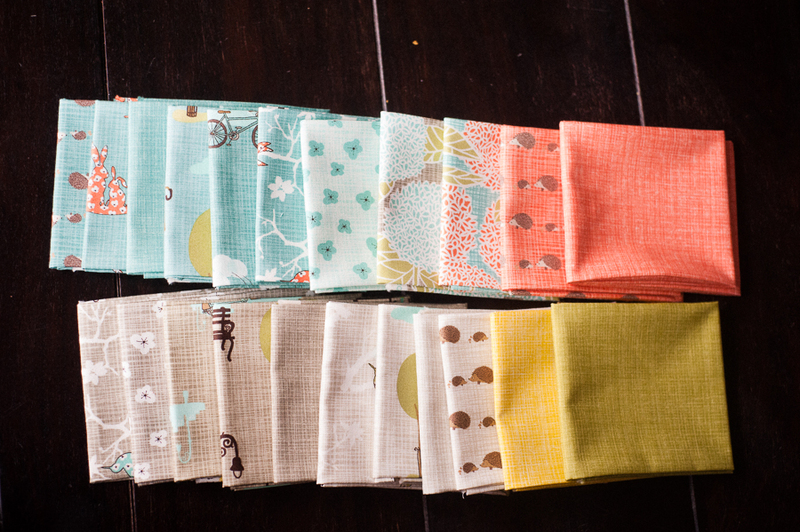 She wanted solids – which is good, because I have a pretty extensive stash of solids.